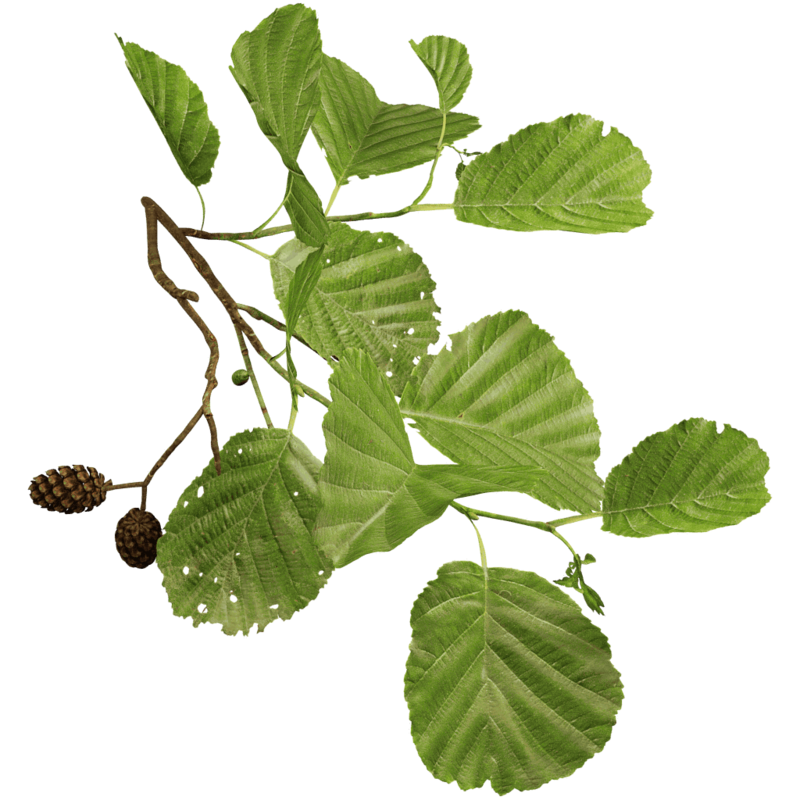 Alnus glutinosa – Black alder, common alder, European alder. Alder trees are often found on watersides and are full of insect life. If growing at the right place, an alder tree can grow into a beautiful conical shape. An alder tree grows both male and female catkins on the same tree. The catkins appear before the leaves and make the tree easily recognisable. The female catkins turn to wood like conifer cones and stay on the tree for a couple of years, adorning the tree even in winter. The settings for growing the perfect black alder 3D tree are included in the Grove as a Quick Start preset. Its conical shape comes from a combination of favoring current branches, favoring the crown, and a high branching loss. Alder twigs are quite brittle and easily break.